When Alex embarks on his final mission in Scorpia Rising, Anthony won’t be putting his feet up and taking it easy. Read about what his next major project is, right here. Anthony Horowitz, the BAFTA-award winning creator of Foyle’s War and author of the bestselling Alex Rider children’s series, has been chosen by the Conan Doyle Estate to write a new full length Sherlock Holmes novel which will be published by Orion in September 2011. The content of the new tale – and indeed the title – remain a closely guarded secret. The prologue is currently under lock and key at the Orion offices. The announcement of the new novel was made to the Sherlock Holmes Society on 15 January where Anthony Horowitz was the keynote speaker. This brand new story is being written with the full endorsement of the Conan Doyle Estate; the first such time that they have given their seal of approval for a new Sherlock Holmes novel. 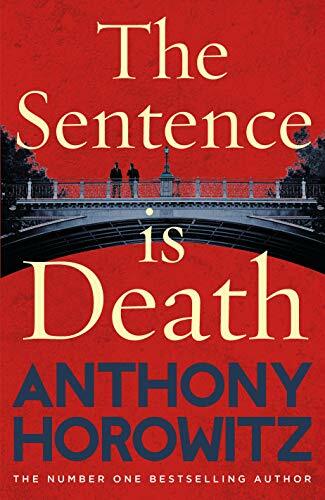 Setting aside the numerous film and TV adaptations of the famous Baker Street detective, Anthony Horowitz has returned to the original books to produce a brilliant mystery novel, stripped back to the original style of Conan Doyle. Anthony Horowitz is a TV screen-writer and is the creator and writer of ‘Foyle’s War’, ‘Midsomer Murders’ and ‘Collison’, as well as adapting many of Agatha Christie’s Hercule Poirot novels for the ITV series. He was awarded a BAFTA for ‘Foyle’s War’ and Foyle was recently voted ‘The People’s Detective’ in the ITV3 Crime Thriller Awards, an award voted for by viewers. His new five-part drama series ‘Injustice’ will be shown on ITV1 in May. Anthony Horowitz is also the author of a string of bestselling children’s books, including the Alex Rider, The Power of Five and The Diamond Brother series. The ninth and final Alex Rider book, Scorpia Rising, is published on 31 March.